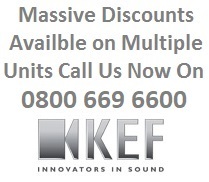 KEF’s Ci Motorised Series are designed to lie flush with the ceiling when not in use – making them ideal for home theatre, especially in combination with motorised screens as part of a fully automated system. In the commercial environment they are highly suitable for a discreet solution in boardrooms. When required, the purr into position at the touch of a remote, to deliver a sweeping soundstage with rock solid imaging. 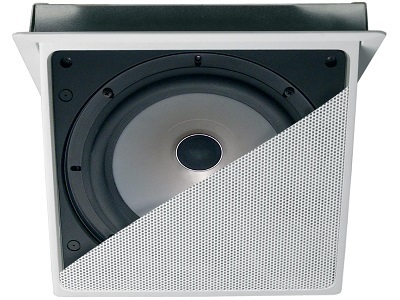 The two-way Ci200.3QT combines 100W power handling and 88dB sensitivity, for a maximum output of 108dB. A 200mm (8in.) polypropylene cone bass/mid unit with a coincident mounted 25mm (1in.) aluminium dome, ferrofluid cooled high-frequency unit gives superb off-axis dispersion characteristics. Five pre-set tilt positions provides a unique touch of sophistication for the discerning client. The bezel and grill can be painted to match the interior décor.